Which Country Is Worst at Unplugging? These days, everyone and their mother (literally) has a smartphone, and your odds of remaining disconnected during a trip to Maui are only as good (or bad) as your data plan. Not everyone feels the same way about taking a digital detox, though: a recent Tripadvisor study revealed which countries can't stop using smartphones on vacation. 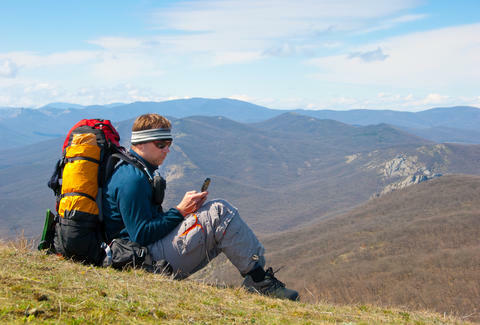 The global TripBarometer Connected Traveler survey polled TripAdvisor users and travel providers, and used the 44,000 responses received from 15 different countries to explore the smartphone habits of international travelers. The result? Like all the best rankings, this one's rife with ties: Thailand and China both took first place, with 65% of travelers from both countries identified as "Connected Travelers," relying heavily on their smartphones to not only book their trips, but also to look for restaurant reviews and things to do. Brazil tied with Indonesia for third place (59%), while Malaysia closed out the top five with 53%. As for the least-connected nation, France took top (bottom?) honors with only 28% of travelers qualifying as being "connected." In fact, most of the least-connected nations were European, with Japan serving as the sole outlier. America's score of 48%, meanwhile, pushed it to the middle of the pack in 8th place.